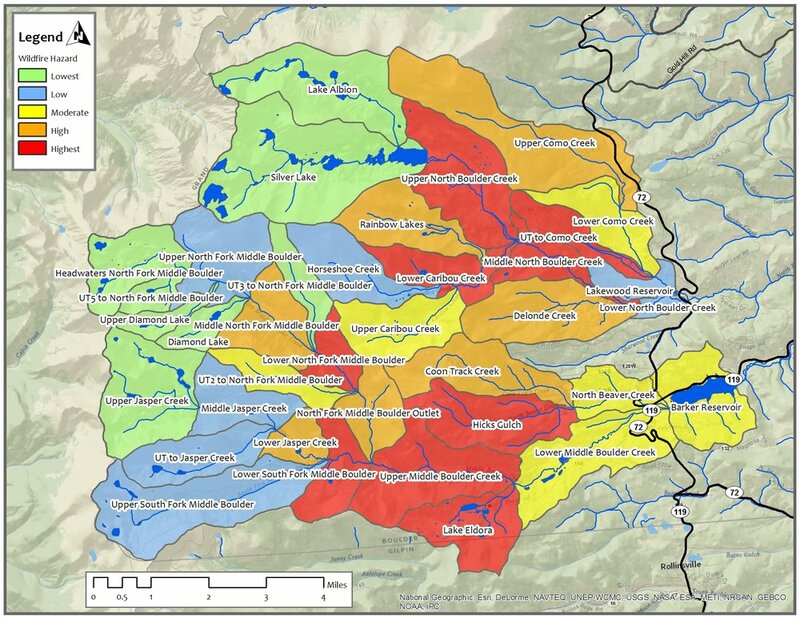 We provided technical studies and direction that supported Pre- and Post-fire Planning for the City of Boulder’s public water supply watersheds. 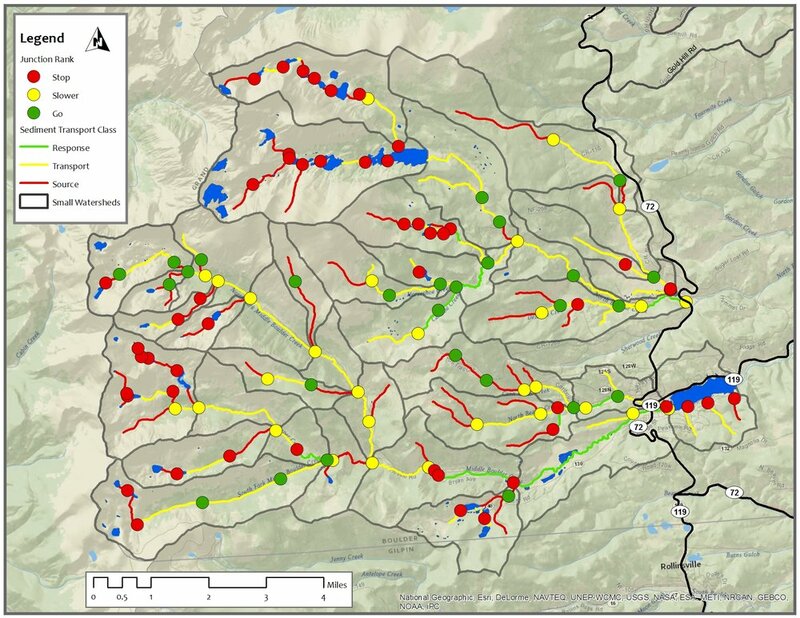 The first project was a Small Watershed Targeting & Zones of Concern Prioritization. Additional work included establishing forest management goals for watersheds to determine long-term budget and planning needs, building a collaborative stakeholder group, and watershed/forest resilience analysis. These projects will be used to target forest management projects and support grant applications for on the ground forest/watershed management projects. 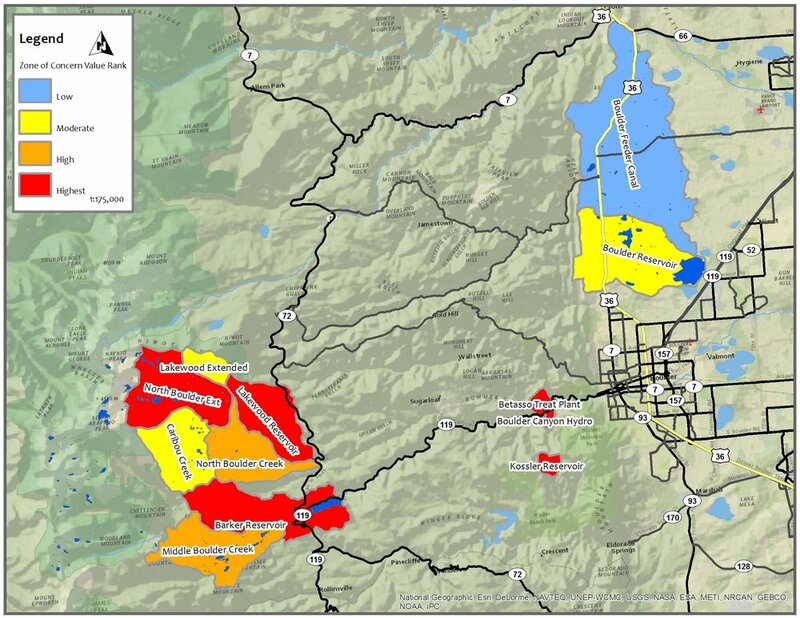 The maps in the slide show below are from the City of Boulder Pre- and Post-Fire Planning Assessment. Click on the slide show to view the priority maps. The legend text identifies the ranking item. Descriptions of the maps and how they were created are contained in the report located in the Documents section.